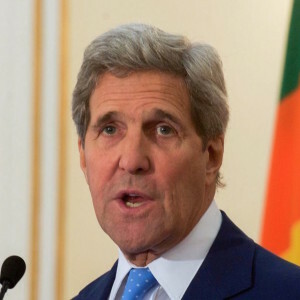 The Sri Lankan government’s decision to join as a co-sponsor paves the way for all of us to work together to deliver the commitments reflected in the resolution, US Secretary of State John Kerry said in a statement today. Today the United States, Sri Lanka, and our partners tabled a resolution at the UN Human Rights Council in Geneva that represents a landmark shared recognition of the critical importance of truth, justice, reparations, and guarantees of non-recurrence in promoting reconciliation and ensuring an enduring peace and prosperity for all Sri Lankans. The Sri Lankan government’s decision to join as a co-sponsor paves the way for all of us to work together to deliver the commitments reflected in the resolution. In the past year, the Sri Lankan people have twice voted to put Sri Lanka on the path to peace and turned their country away from a divisive approach that for too long sapped Sri Lanka’s strength. This resolution demonstrates our support for Sri Lanka as it takes courageous steps to strengthen its democracy and restore civil liberties for all Sri Lankans, while also addressing the painful experiences of the past to ensure they never recur. This resolution marks an important step toward a credible transitional justice process, owned by Sri Lankans and with the support and involvement of the international community. The resolution will help families of the missing find answers about their loved ones. And it lays out a path to provide truth, justice, reparation, and guarantees of non-recurrence that the Sri Lankan people deserve while safeguarding the reputation of those, including within the military, who conducted themselves with honor and professionalism. As I promised in Colombo earlier this year, the United States will remain steadfast in our commitment to walk with Sri Lanka as it takes these important but challenging steps.